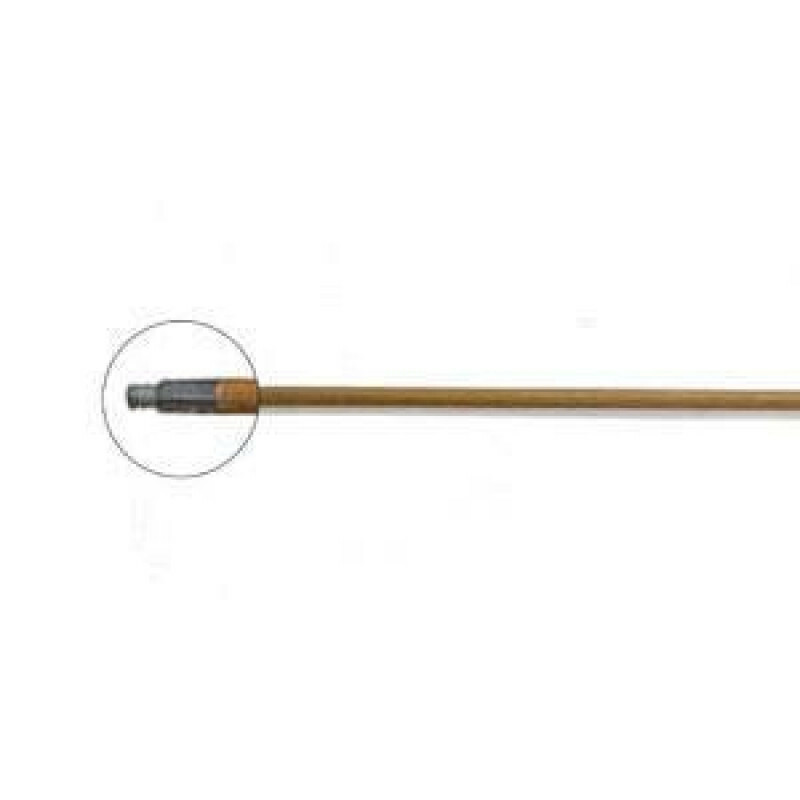 This 60 inch all wood push broom handle with metal threaded tip is used with any brushes that require a standard thread, specifically most of our deck scrub brushes, and some of our push brooms (those with threaded heads). This wood handle will screw into the brush's block head and provide a superior scrubbing ability for decks and vehicles. The metal tip will resist cracking and hold up longer than a standard all wood handle with wood threads. Take a look at the rest of our push broom handles for other options, including a vinyl threaded handle for use in the food prep industry. Customers who were interested in the 60" Wood Threaded Deck Scrub Broom Handle were also interested in the following items. This is a review for the 60" Wood Threaded Deck Scrub Broom Handle.